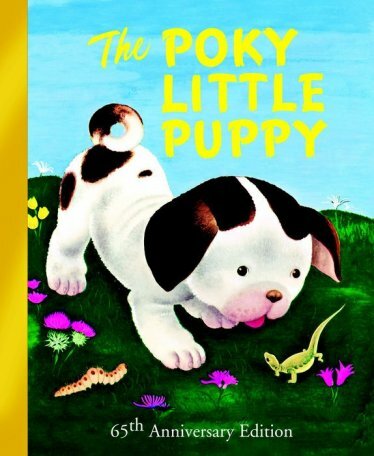 As a child I really wanted a puppy, often I wonder if it was inspired by the adorable ‘Poky Little Puppy’ story. How many puppies do you think joined homes after this book was read over and over again at bedtime? This photo from the publisher’s website is a special edition cover for the 65th anniversary, wow! I wondered about the back story of this book and took a look around the internet. This is one of the 12 original Little Golden Books. The little puppy that went to bed with no Strawberry Shortcake for dinner has been read to generations of children. For the 65th anniversary, the publisher created a special edition that is 52 pages and features all the artwork that had been cut from the book during World War II when paper rationing was in effect. They say that this story is the bestselling picture book of all time. I’d LOVE to hear if you read this as a child, and do you have a fun memory about it? Leave us a comment! I had someone ask if the block is a direct image or representation of the book. It is not. The book is a theme I am using for us to reminisce over. Quilt and Sewing Center has been an authorized BERNINA dealer and service provider since 1999. What is nice is they have a fully equipped service department with trained technicians who are experts in the sewing industry and provide expert maintenance and repairs that our customers have come to depend on. With wonderful fabrics, sewing notions, patterns, books, sewing furniture, and embroidery supplies, they will really inspire your creativity! Need a workshop for hands on learning? They offer a wide range of classes focused on skill and confidence building. All skill levels and sewing machine brands are welcome to join! They are a friendly bunch of folks with a passion for sewing and a dedication to helping others experience the joy and fulfillment of sewing. Find them in Fredericksburg, VA, where the welcoming staff are always on hand to answer questions, offer helpful tips and techniques. 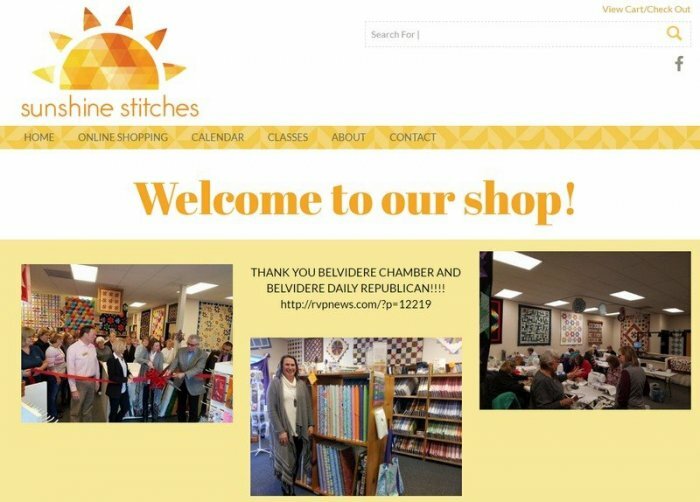 Shop Feature: Sunshine Stitches Inc.
Sunshine Stitches Inc is always happy to assist you with your quilting and sewing questions and they are passionate about helping you create projects you can be proud of! They specialize in 1930's, Civil War and 1800's reproduction fabrics, as well as a wide range of solids, batiks, marbles, etc.. You’ll find fabric by Moda, Robert Kaufman, Riley Blake, Troy, Anthology Batiks, Red Rooster, Timeless Treasures, Clothworks and Marcus Brothers. 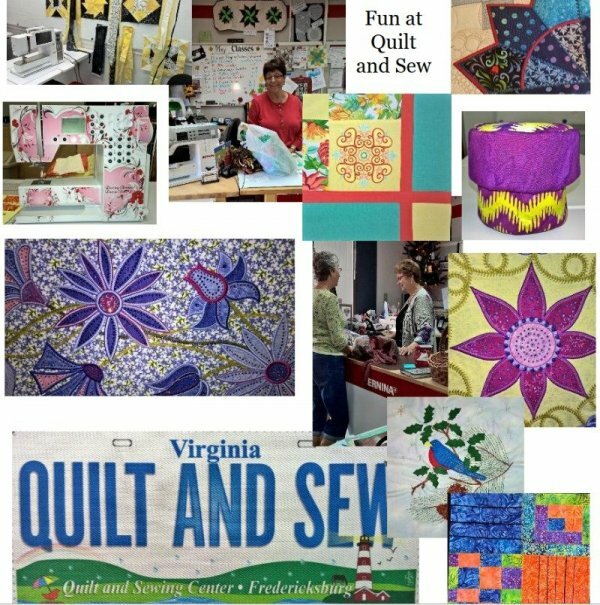 Along with a great selection of books, patterns and notions for all of your quilting needs. 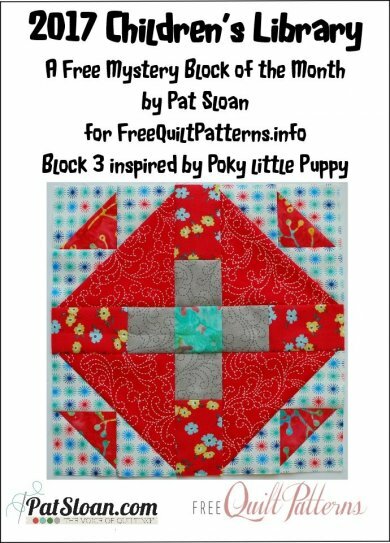 Whether you are an experienced quilter or you're just beginning...they can help! Shelley: Has owned and operated several small businesses and enjoys working with people. Her background includes years of crafting, painting and sewing. Shelley looks forward to meeting each and every one of you. LaRene: Is a down home quilter with years of experience. She loves Civil War and reproduction type quilts and is able to answer your questions on just about everything. LaRene teaches teaches different groups locally and teaches many of our classes here at the shop. Shelly: Has quilted for many years and likes a lot of different kinds of fabrics and designs. She enjoys teaching and sharing her love of quilting with others. Did you read this story? Do you have any fun memories with it? I'd love to hear it in the comments!